It must be love. Demi Lovato is opening up about her relationship with Wilmer Valderrama in a new interview and revealing that she definitely has a type when it comes to men. 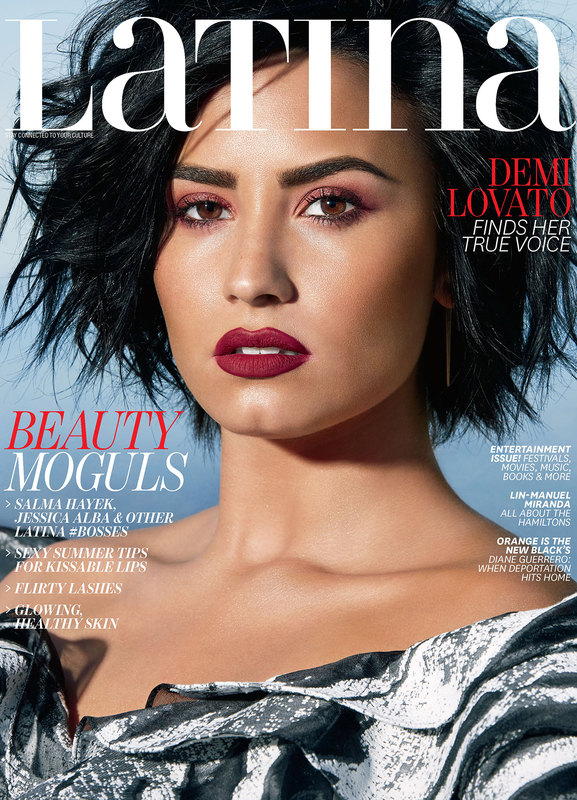 "When I dated white guys, it wasn&apos;t as passionate as my relationship with Wilmer," the "Confident" singer, 23, says in Latina&apos;s June/July cover story. "Maybe that’s just Wilmer. But I do believe that Latin people are just more expressive, more passionate with their emotions." The couple celebrated their six-year anniversary in January, and Lovato seems to be more smitten than ever with the former That &apos;70s Show star, whose parents hail from Colombia and Venezuela. "He&apos;s very manly, and he can be stubborn like Latino men can, but he&apos;s protective and he cares so much and loves so hard," the former Disney star says. "I&apos;ve been blessed enough to have him in my life, and not just as my man, but also my best friend." The "Stone Cold" singer, who was in rehab in 2010, has spoken out in the past about how Valderrama, 36, helped her in her recovery from drug addiction and an eating disorder. Now in the best shape of her life, Lovato is on a strict diet and exercise regimen and eats four portion-controlled meals a day. "I&apos;ve been my heaviest in my relationship with Wilmer and also been my thinnest," she says. "He&apos;s seen it all and loves me equally, and it gives me confidence to know that."